What's your body sipping on? 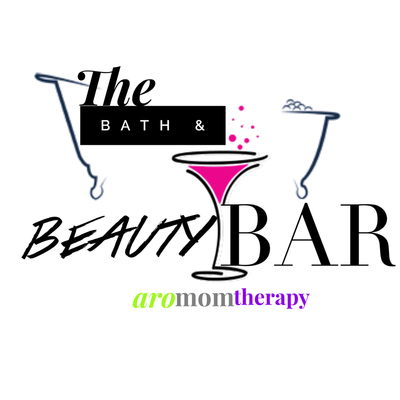 and... be sure to inquire about or mobile spa parties as well to create the ultimate event! 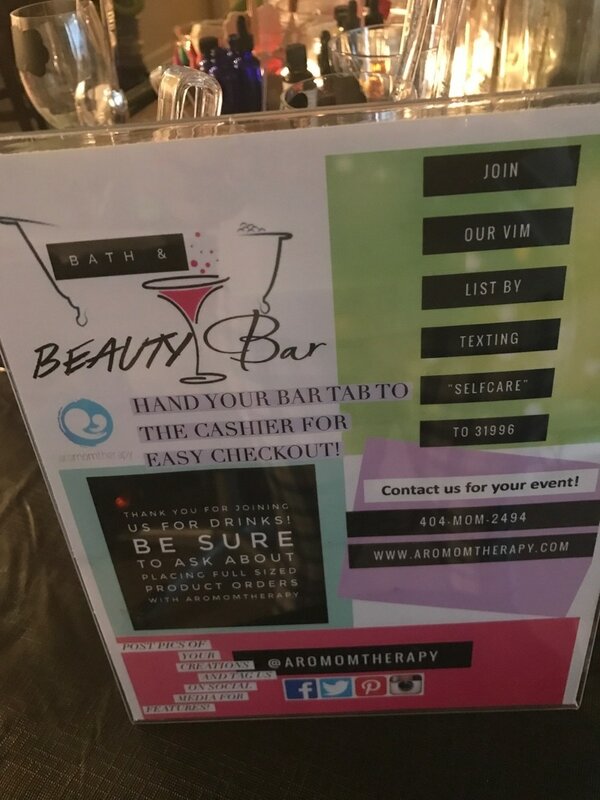 If you're in the Atlanta, Ga or surrounding areas contact us to see how you can have aromomtherapy's Bath and Beauty Bar at your upcoming event! Let's get drunk in love with taking care of our bodies and learn about safer ways to balance and stay on track with our beauty regimens. Mommies did you know that it only takes our skin (aka our largest organ) roughly 30 seconds to drink up the many toxins that we slather on our skin each and every day? 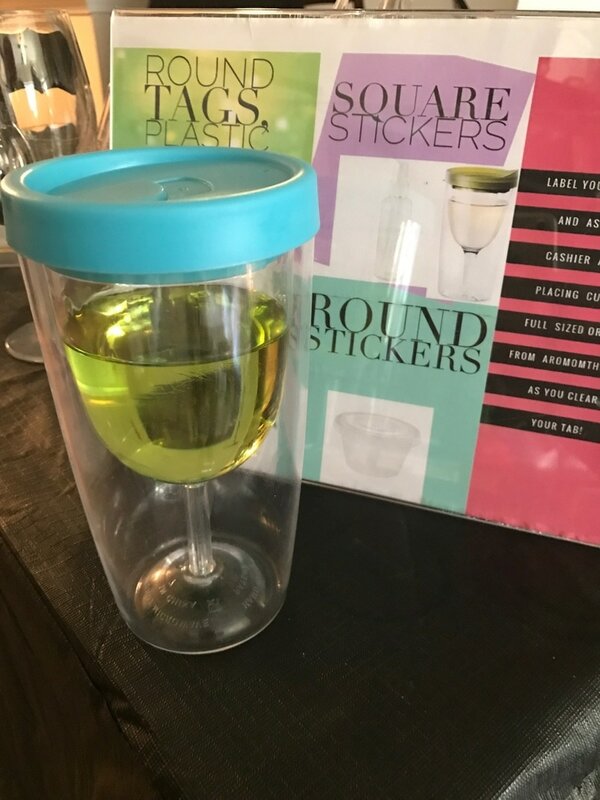 And mommies much like the alcohol we would drink at a bar we can't fully function in much of any area of life when we're heavily intoxicated. Now don't get me wrong you don't have to stop it all together but Balance is a major key to our beauty. 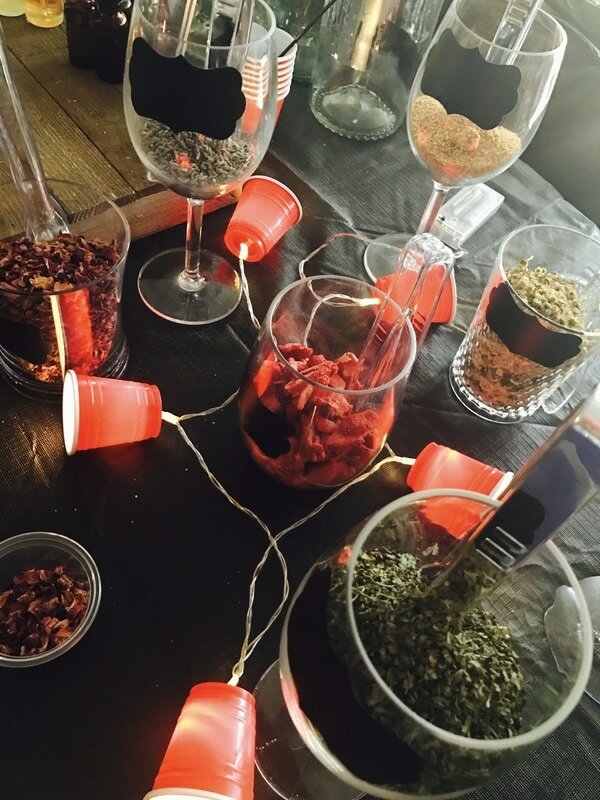 Invite us out for a short time and we'll waive our setup fee so you can setup a cash bar for your guests to be filled with SHOTS of the finest quality of carrier oils MIXERS of essential and fragrance oils (if you prefer) and to top it all off you can GARNISH your drinks with a selection of fresh herbs like lemon zest, orange peel or lavender buds. 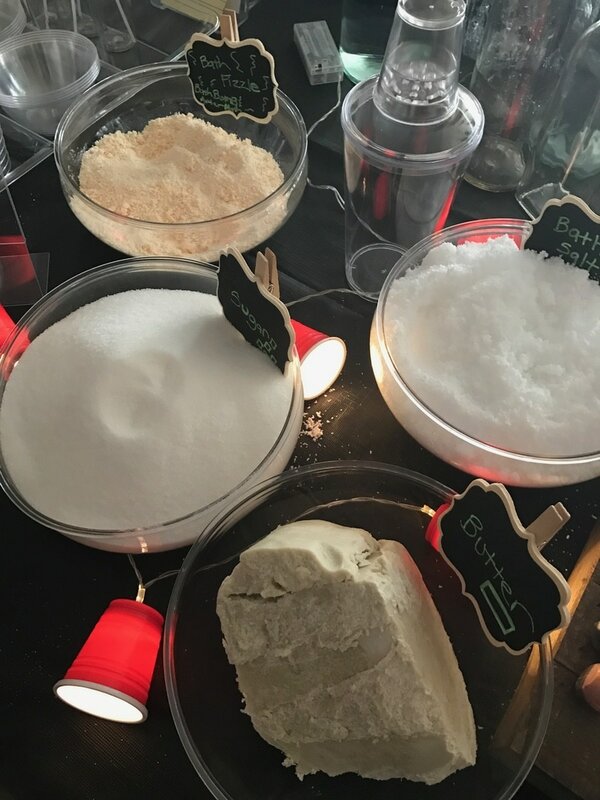 Your guests will have their pick of body butters, sugar scrubs, bath salts, bath fizzle, massage/body oils and more! So go ahead and invite us over for drinks. 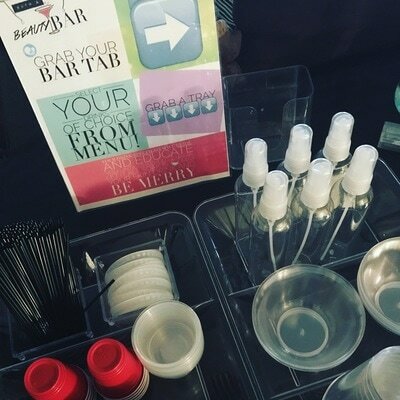 A combination bar is a combination of an open and a cash bar. 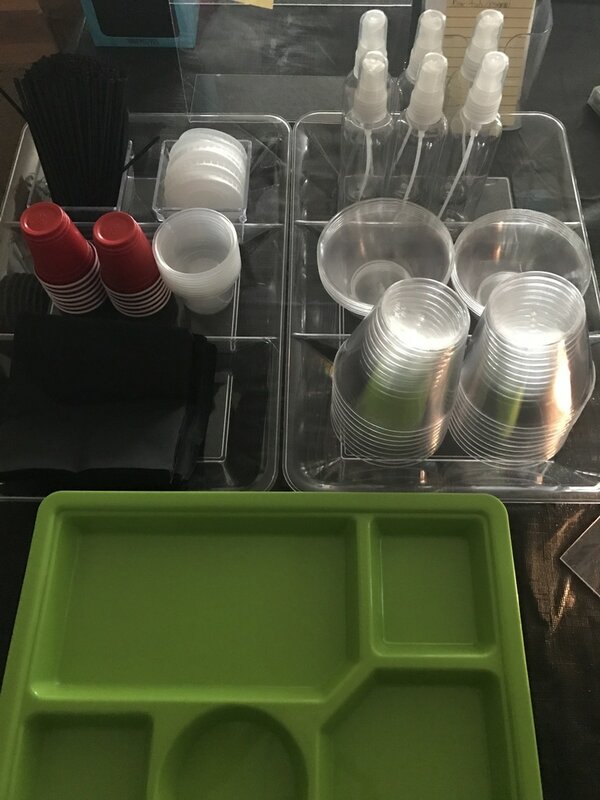 Combination bars are good choices for hosts that want to treat their guests, but want to control costs by making sure nothing gets out of hand. You can give out a set number of tickets to each attendee and then transition to a cash bar once all the tickets are used. This is another way for the host to control cost and is much more difficult to abuse than doing it by time. This works well for more corporate or professional events. 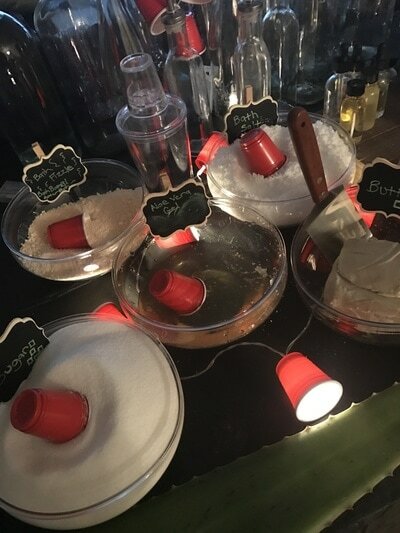 Don't see what you have in mind on the menu let's discuss custom drinks! 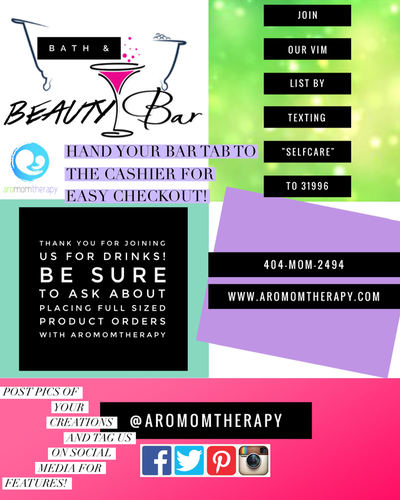 Fill out the booking request below so we can discuss in detail!